A single title 1950's in good near mint condition. 1945/50's Glider Pilot Titles, removed from uniform with service wear. A pair of Army Air Corps titles. 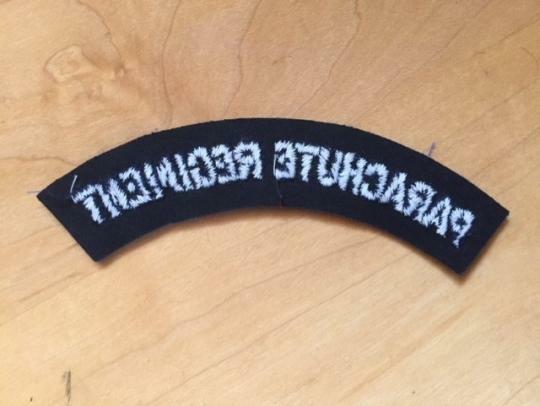 British Parachute Regiment Titles removed from uniforms with some service wear. I have nine pieces in stock. 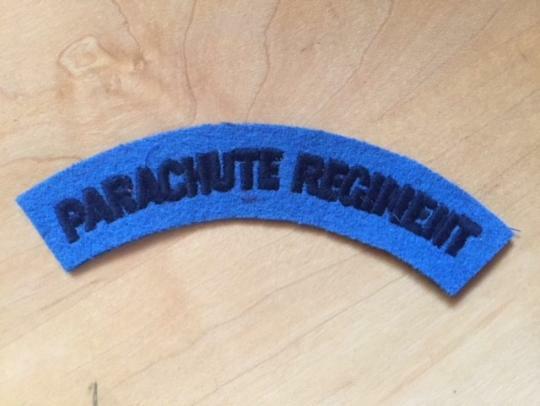 1950/60's Paratrooper wings in un-issued condition. 1950's/60's Paratrooper wings in un-issued condition. Set of British para insignia removed from uniform. Some service wear. Queens Crown RAEC cap badge in bullion on airborne maroon. RLC officer's beret badge in bullion, Queen's Crown.